Pneumonia – The Biggest Bacterial Killer On The Planet! Come enjoy a FREE lunch and learn about pneumonia and new prevention vaccines. Can you reduce your risk? 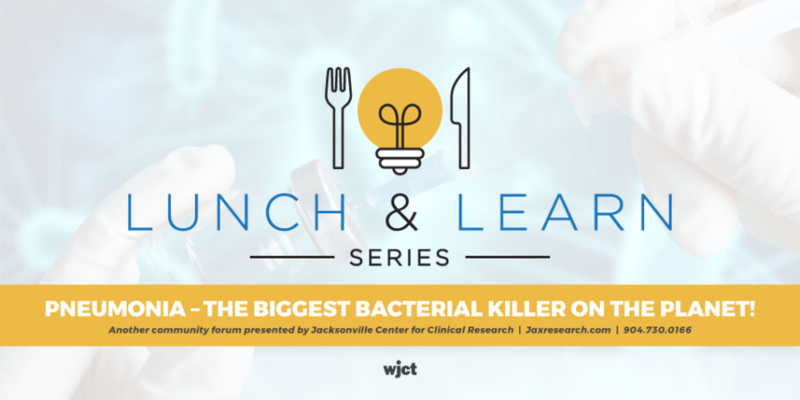 Join Dr. Jeffrey Jacqmein, a local renowned family practice physician and research principal investigator, as he discusses cutting edge pneumonia vaccines in medical research LIVE at WJCT studios in Jacksonville. This event is FREE, but space is limited and reservations are required. RSVP requested by February 25th by 12PM. Call 904.358.6322 or click the button below!